Oregon has more wild and scenic rivers than any other state. Water unites us across everything – our health, our jobs and businesses, the natural places that we escape to in our own neighborhood or across the state – and it’s our promise to the next generation. 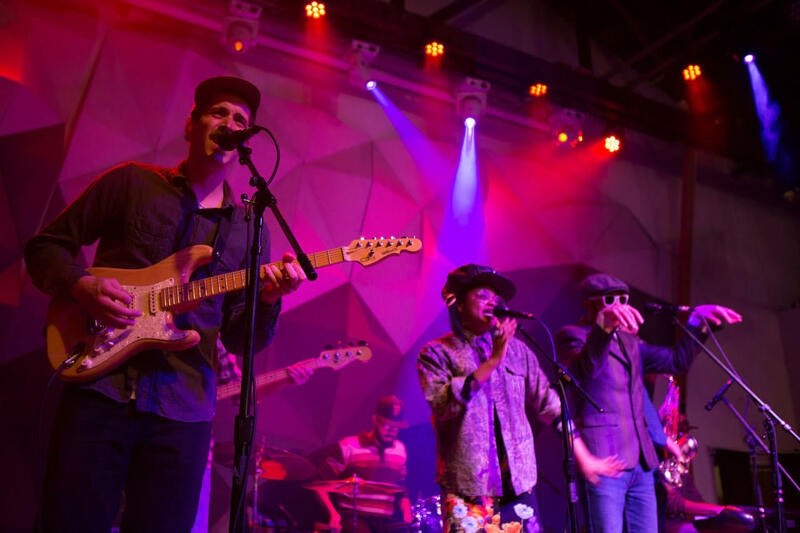 At OEC’s 5th annual Get Dirty benefit concert and auction, more than 100 people gathered in Portland to dance, celebrate Oregon, and elevate a conversation about water pollution across the state. Recent headlines have revealed that Oregon has the second-worst water quality permit backlog in the country. Nearly 22,000 stream miles and more than 30 lakes and reservoirs are considered “impaired” under the Clean Water Act. Increasing numbers of wildfires and aging infrastructure will threaten drinking water supplies for millions of Oregonians. And in some places, wells and streams are going dry because officials have promised more water than nature can provide. We can no longer take clean and unlimited water for granted in Oregon – and last Saturday, Portland showed up. 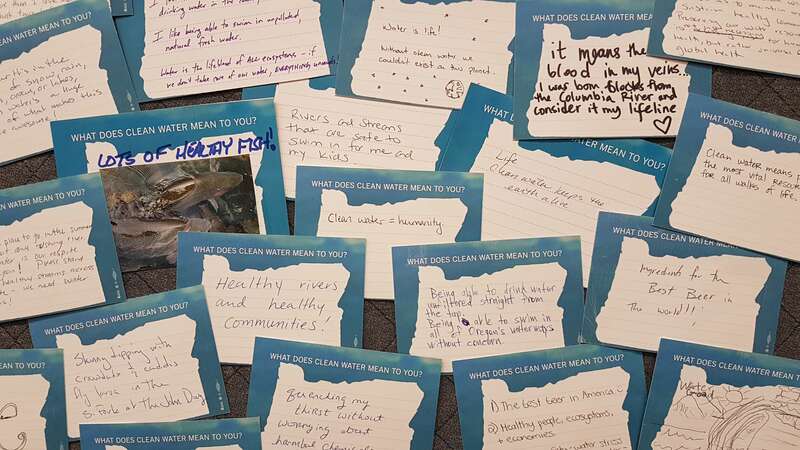 Through an interactive activity, individuals shared why clean water matters to them and their communities. Tribes, businesses, landowners, and organizations across the state are doing great work for our watersheds, restoring rivers and fighting to keep pollution out of our drinking water and our favorite swimming holes. But it’s a bigger problem than any one group can tackle alone, and that’s where you come in. Share your story about clean water to highlight what Oregonians’ care about most and to keep the pressure on policymakers to protect this precious resource. Help us build a chorus of public support to ensure the state is investing in the health of our children and future generations. 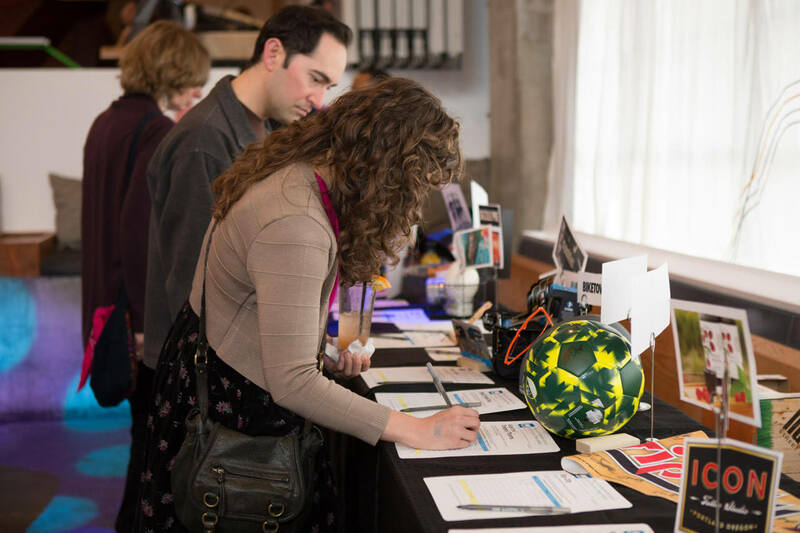 Get Dirty for Clean Water is an annual event hosted by Oregon Environmental Council’s Emerging Leaders Board, a group of young professionals working to advance the efforts of the state’s longest standing environmental advocacy organization. 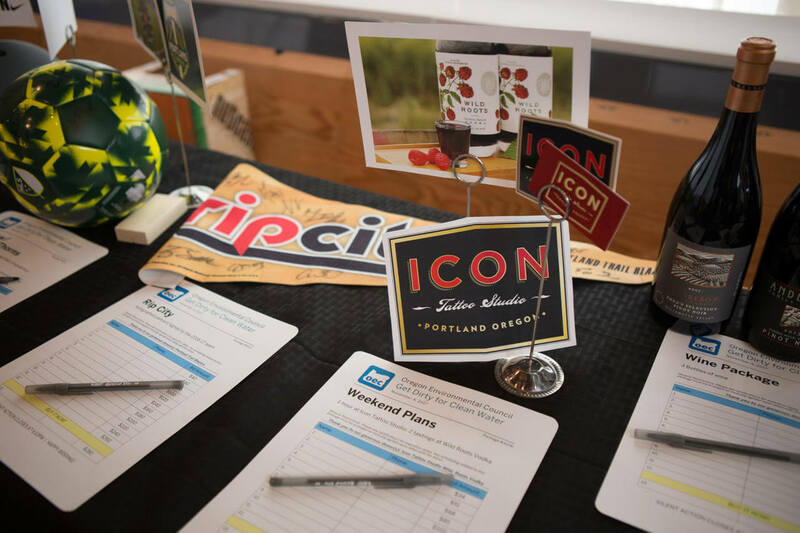 Proceeds support OEC’s efforts to ensure clean and reliable water for all Oregonians and help our state lead on climate change. Thank you to all of the generous business donors that made this event a success! 1 Reply to "“Clean water = humanity”"
I have followed the work you guys have been doing ever since I moved to Portland and really appreciate everything you are working towards. 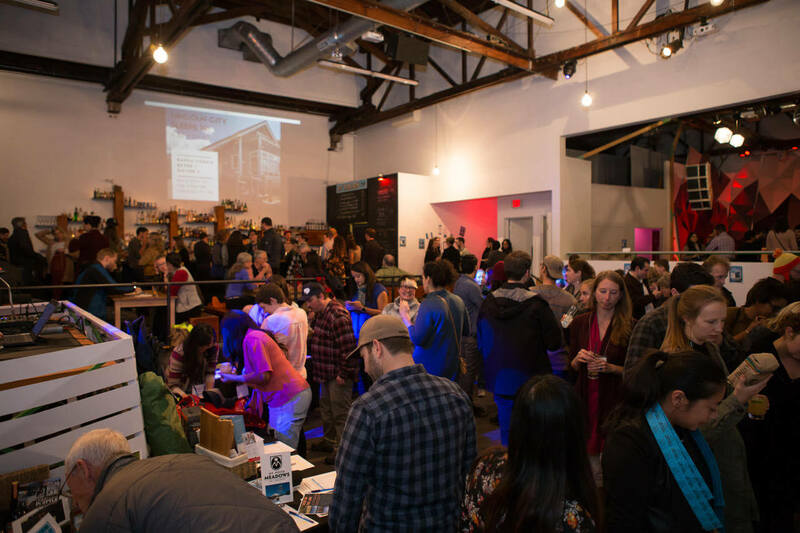 I work for an environmental wine company here in Portland called Proud Pour that is doing some great things. Both of our wines give back to natural restoration projects in the local markets where we are distributed. We have a Sauvignon Blanc that helps restore wild oyster reefs and a Pinot Noir that helps to restore wild bee habitats. Here in Oregon we partner with the Siletz Indian Tribe on the coast for oyster reefs restoration and with Xerces to plant wildflowers in farms all over Oregon. We’d love to get involved with the local environmental groups if you guys ever have an event! Let me know if you’d like to partner on something in the future.